The highways and byways of the qualifiers have given us great days out over the last few summers. Part of the fun has been the dicing-with-death element of these knockout fixtures, in which, up until yesterday evening, we’ve always managed to secure the wins we’ve needed to keep the run going. 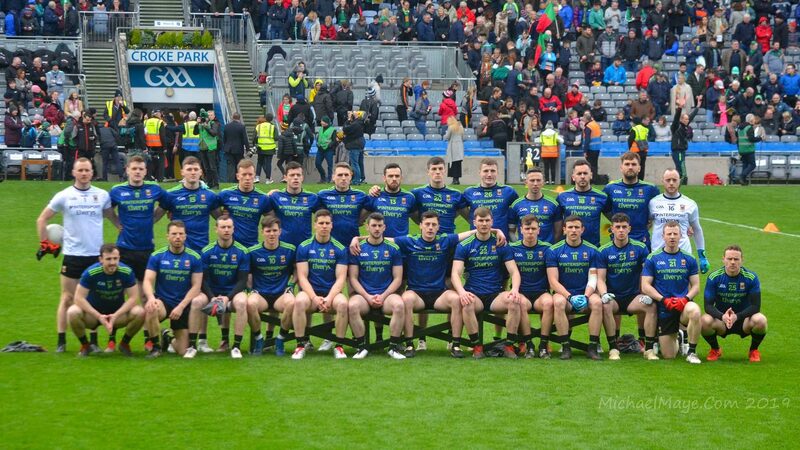 In yesterday evening’s Round 3 tie against Kildare, however, we finally came unstuck and the 0-21 to 0-19 defeat we suffered brings to a premature end Mayo’s involvement in this year’s championship. In this episode of the Mayo News football podcast, we take you back to the events of last night in Newbridge. Host Rob Murphy and I, along with Edwin McGreal, Ger Flanagan and Danny Carey, gather on the terrace at St Conleth’s Park an hour after the match had ended for an impromptu round-table on the game and its implications for us. We then cut to Rob and I, just after the final whistle had sounded, for a few in-the-moment post-match thoughts, following which Ed and Ger discuss the post-match reaction from players and management. Rob then gets an assessment of the match from special guests Paul Earley and James Horan. This latest episode of the podcast is now online and available to listen to on iTunes and SoundCloud. You can also listen to it on the Mayo News website or here on the blog using the player below or the one on the right. The Mayo News football podcast is proudly sponsored by the Oxford Arms, Camden Town, London. i am very disappointed after that loss.father time and injuries have caught up with team but all is not lost. our u 20 team is in the all-ireland semi final.ST conleths park could have taken another 3000 peop[le i think. i believe rochford got a 3 year term last year .he now needs to watch the club championship closely for new talent and get ready to start winning matches again in january. at least the club championship wont be rushed this year.i dont know what i am going to do for july ,august and september without our croke park outings. predictions for qualifer draw ROSCOMMON V ARMAGH. CORK V KILDARE. TYRONE V FERMANAGH .LAOIS V MONAGHAN. When you think about it we were just unlucky to have come up with our best side at the same time as Dublin produced the “greatest ever football team ” to lift the trophy , (according to all the pundits that is ). I think Rochford will call it a day. He’s done a good job but its hugely pressurized. This empty feeling will remain for a couple of weeks but will eventually dissipate. A few will undoubtedly retire. Its all been said by now but they were/are heroic warriors. The admiration from them from the wider press was heartening to read today. Hears hoping the U20 can do it against Derry in a couple of weeks, would be a great lift after yesterday. Every team eventually has to go through a period of transition. The time for Mayo’s is about to begin. Genuine question to all youth coaches/ primary school teachers in Mayo. Are we coaching kids from a young age to be ambidextrous and kick off both feet? Our time has come I am involved in underage coaching in my adopted club and I can assure you that type of training is going on within our underage structure from u6 all the way up to minor and we can see it’s benefits. For my own rural club it has taken a huge effort to get the right people involved but our numbers are up and it is promising. I can also tell you that there is also some very fine talent on display at Go games not only in terms of skills execution but also in terms of reading the game. There is one rural club in Sth Mayo that I am continuously impressed with in terms of the way they are developing their youngsters. Of course it will take 5 to 10 years to reap the fruits of our efforts and there will be distractions along the way but I also believe that the town clubs are a little bit ahead of us so I see no reason as to why we shouldn’t have a conveyor belt of talent coming on line soon if the other 3 divisions are on a similar path. I hope I have not offended anyone personally, its the way I see things right now. Dont think McStay has anything to offer and Definitely not McHale. Last night was perfect storm.Tight pitch , sun, injuries, and a team motivated by hurt. Would have happened this year anyway. Yes we are all down but we do need new voices..not buckley or mcEntee. I really think we should throw net wide.Leave McStay where he is. Thanks Onemoretime that is very very heartening to hear! To people that are calling for “the net to be cast far and wide” can I remind them there’s no managerial vacancy yet we are barely out of the championship 24 hours yet I think the manager should be allowed time and space and his decision supported either way. I must admit I’m not his biggest fan but the way Mayo played in the all Ireland final last year was the best I ever seen so he has to take credit for that and getting us as close as any manager has come to the holy grail. Huey2018, I was at the match with a friend of mine from Limerick. She said she really believed that the “Newbridge or Nowhere” win acted as a major galvanising force for the Kildare team, giving them real extra motivation and push. She may very well be right. They deserved their win on the pitch yesterday but maybe NoN might have helped. I support our current manager, would like him to stay for next year and thank him for what he and team have achieved (which includes a breathtaking two finals in 2016 and 2017, including a sensational win over Kerry last year). True Grit – I’m sorry but the subjects of your long tirade would clearly be deeply insulted, and worse, by what you’ve attempted to post there. I can’t allow allow you to post that kind of OTT criticism here and well you know it. If you want to frame what you have to say more constructively and pare out the wilder accusations, then the core point you’re trying to make – which is, I think, a valid one – wouldn’t be in any way watered down. It’d just be less angry and far less insulting. This blog is a great sanctuary after a defeat like this. Honest, intelligent discussion unlike all the other sites. The amount of jubilation and nasty comments directed at the mayo team since yesterday is sad. Not that these comments should be heeded of course. These people should realise what this team has brought to the championship in the last few years, not just for us, but for the neutral supporter too. There was literally never a dull moment and only for mayo. Dublin would have won the last few all irelands without breaking a sweat. We were the only team capable of giving them a game and they knew that. I dont see us falling away or anything like that. There’s still a strong core of young players there to carry this team on. A good break for this team could be just what the doctor ordered. Let the players go and enjoy the summer outside of football and come back refreshed and rejuvenated in 2019. Heartbroken for those players who may call it a day after all the sacrifices they’ve made and effort put in. Seems very unfair on them to walk away without a Celtic Cross however, such is sport and time waits for no man. As supporters we’ll learn to get over it but I’m bitterly disappointed for the players. It’s been a great journey since 2011 but it’s far from over. We will rise again have no doubt about that. The important thing is to maintain this very high standard we’ve kept for the best part of a decade now. I’ll never criticise management nor player as what they give for the cause is truly commendable. It’s always brought me great enjoyment following Mayo football and coming close to 40 I, hopefully, have many more years to look forward to. Thanks to all the management and players for their dedication and professional approach. They’ve made me even prouder of my roots and they don’t owe anyone anything. Agree Dave Johnston. Read some of the stuff on other sites the worst being the 42 and not only does it saddens me as a Mayo person but it also saddens me as an Irish person to realise that there are such imbeciles in our society. These faceless people probably never kicked a ball in their lives and no doubt definitely never played at a high level. Before the age of the keyboard warrior they were probably friendless saddos who envied people with a life and those who got a buzz from supporting a team. Now they think they are important as they belittle all and sundry. In contrast we in Mayo can come on a site like this and express our feelings and emotions while reading what others have to say about the state of the game in our county. For that we are indebted to you WJ. We beat Kerry last year and possibly could have beaten Dublin but for a moment of madness. Year before that we lost the final after a replay by a point. This year we have been hammered with injuries. People calling for Rochford to go would want to be careful what they wish for. Should all have the potential to go at least a couple of more years and some of the older lads may be able to keep going for a year or two yet.get a few more players through and we can contend next year. Remember we annihilated Donegal in 13 and they almost won in 14. Agree Centrefield the talent is there. Gallagher was impressive during the league as well as others. Nally for oneand Clane Hanley will have a bit more practice with the round ball. Let’s see how the u20’s go this year,there’s bound to be talent there. All is not lost. Meant to say thanks Willie Joe in my earlier post so thanks! Re the muck on other sites having a go at us,just ignore it, I’ve stopped visiting the journal/the42, same entity I think but no matter what the subject, news or sport related, there’s a lot of headbangers commenting nasty stuff on those sites. Keyboard hard men / goons in my opinion, the less attention they’re given the better. The Journal/the 42 epitomise all that is wrong about about modern day Ireland. Comments section is a cesspit of nastiness and intolerance, and the articles are always written by their so called “journalists” to pander to and encourage that type of reaction. I used to read it a lot, but I realised how hateful it is and I just don’t anymore. The county board should be judged on the success of the senior side ultimately! The buck stops with them, IMO this team came by chance not by design. It is NOT acceptable that we have not won since ’51. Every players should have the same chance of playing county senior football regardless of where he was born. We are not harvesting the full crop, its unfair on junior players with ambition & talent who are not allowed to play senior championship, its unfair on county management to be expected to view all club games in their current structure. Its unfair to expect a junior player to make the jump from junior club to senior inter-county. Look at Kerry, how many junior players do they have playing for them?Answer is have a championship with divisional teams involved, this will allow the cream to come to the top and management can & should attend these games. The underage structure at county level is also poor, look at the manager @ U-17, U-18 last year/this year, our resent record @ under age level – V. poor. What happened to the ‘Liam Horan’ report? collecting dust. W.J. Sorry if what I said was OTT. I,m glad you see my core point was a valid one. I believe in calling a spade a spade. Anyhow our year is over for SAM. All we hope is we might win some medal in 2019. This minute a Connacht or League would be a good start.